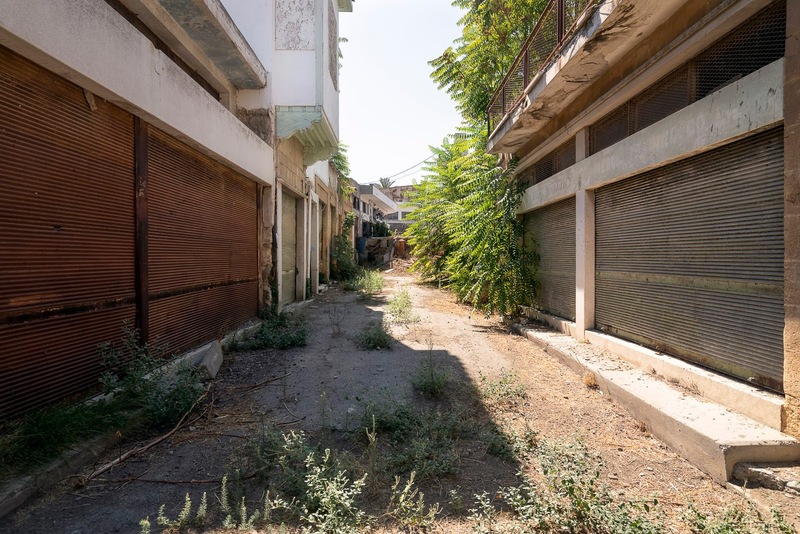 Source: "Eerie pictures give rare glimpse inside Cyprus' little-known 'ghost town' - a 100-mile demilitarised zone haunted by war"--Daily Mail. Most of the photographs I see of ruins are simply "cool," but some can present lessons for the prepper. For instance, yesterday, I posted a photograph that showed a young woman standing on the facade of tall building overlooking an abandoned town. She obviously was silhouetted against the skyline, and visible to a hypothetical enemy at a distance far greater than she could have seen said enemy. Today's photograph offers another lesson. As you can see, shuttered shops lie only feet on either side, but the street presents a fairly long distance that is unobstructed, demonstrating that modern urban combat can involve very diverse distances. Also, it appears that there is a taller building at the end of the street that would provide a good overview of the street. Although you generally want to keep a couple feet away from walls to avoid ricochets, in this case, it might be more useful to keep close to the walls to take advantage of the shadows and the concealment offered by the vegetation.